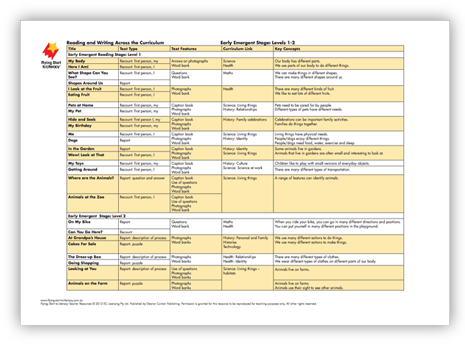 Sentence stems, high-frequency words, key vocabulary and reading strategies for the books at each of the reading stages. 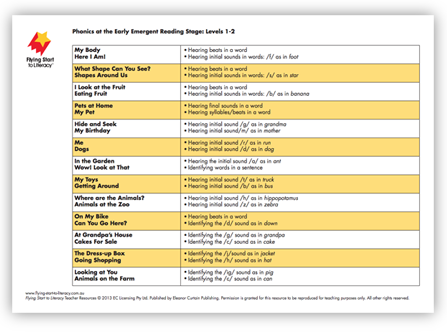 The systematic and explicit sequence of phonemic awareness and phonics is provided for the books at each reading stage. 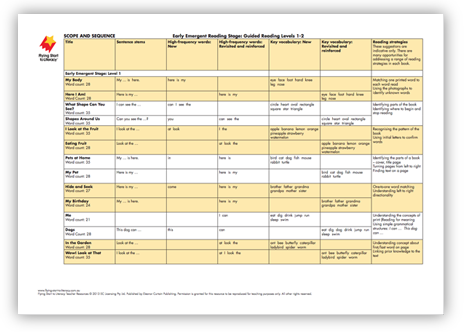 Text types, text features, curriculum links, key concepts, content vocabulary for the books at each of the reading stages. 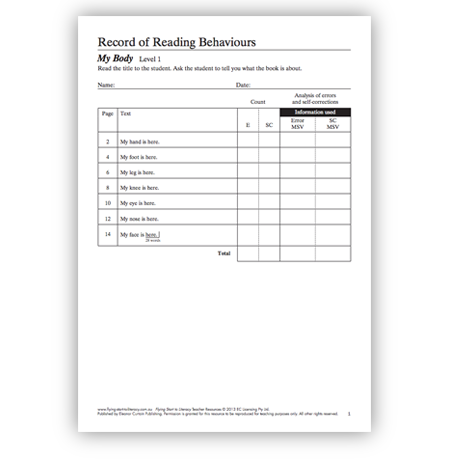 Records of reading behaviour are provided for the books at each reading stage. 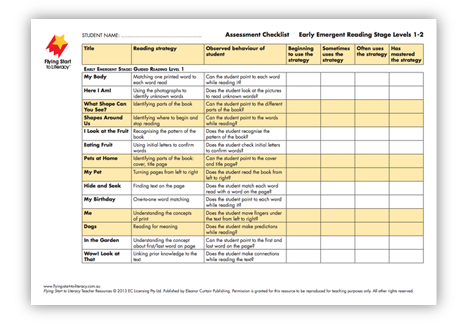 Use the ongoing assessment checklists to record students’ progress. 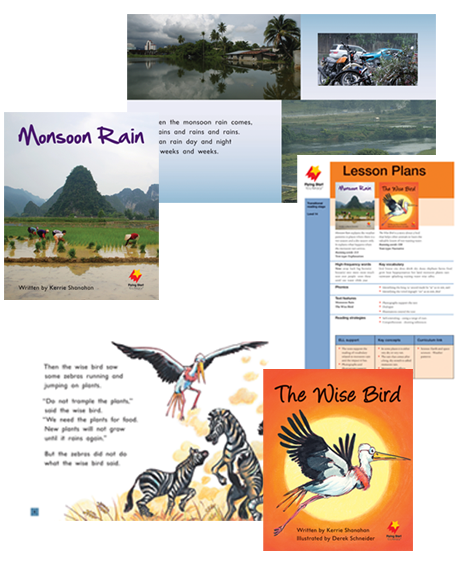 Correlation to Australian Curriculum: English – Foundation Year, Years 1, 2 and 3. This resource is research-based. 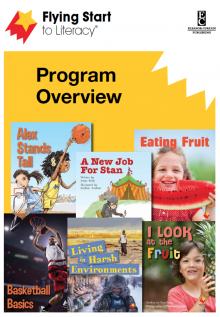 For more information about the research that underpins the program, read the Program Overview. 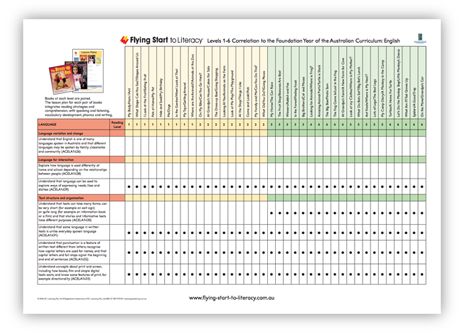 Find out how to begin teaching with Flying Start to Literacy.